Zoho has added AI and analytics features to its CRM suite, part of a drive by the company to unify its sales, marketing and customer support apps. Zoho CRM Plus was launched in 2014, bundling nine apps into what the company describes as its customer experience platform. Enhancements to several of its apps were unveiled last week, including Zoho’s social media management tools and SalesIQ visitor tracking software, providing a single platform for all customer-facing staff. 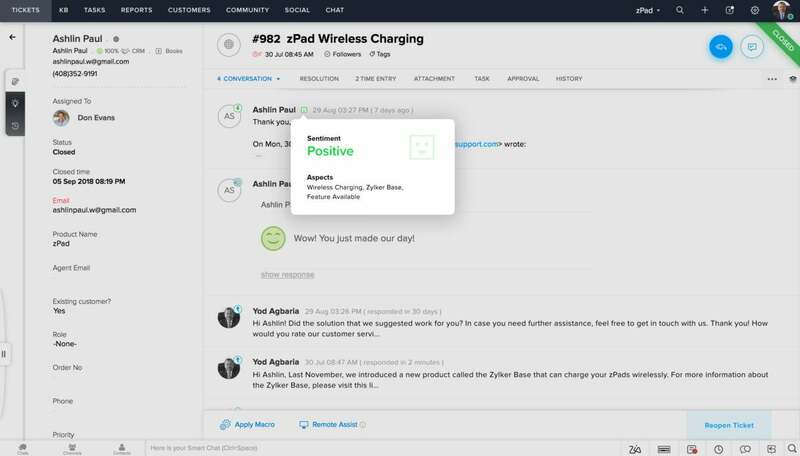 Zoho Desk, the firm's customer support app, received a major upgrade with new features such as customer sentiment analysis and the launch of its Radar customer service metrics mobile app and Blueprint workflow automation tool. There were also updates to Zoho Analytics, the firm's business intelligence app, which automatically “blends” data from multiple sources. This includes Zoho's marketing, sales and customer service apps, though third-party apps are supported, too. “Customers can do analysis on data from multiple systems gathering insights that are unavailable from traditional siloed systems,” said Raju Vegesna, chief evangelist at Zoho. Zoho's Zia AI assistant looks for customer "sentiment" in emails and tickets to speed up the problem resolution process. Zia was launched in 2017, providing data-based recommendations to sales staff. It has since been rolled out more widely across Zoho’s 40-plus apps, including productivity and collaboration tools. Now, Zia has been integrated deeply into Zoho Desk. The AI technology scans customer emails for sentiment, detecting positive and negative words. That information can help customer support teams identify unhappy customer cases that require immediate attention and assign them to an experienced agent for response. Among the other Zia capabilities for CRM Plus is the ability to detect and highlight anomalies in customer service data, such as higher volumes of incoming tickets. That would trigger an automatic notification to customer service agents and managers. “From a customer experience perspective, they've done a nice job putting the AI layer underneath a more tightly integrated marketing/sales/service combo, which allows the platform to uncover insights with broader customer-focused perspectives,” said Brent Leary, co-founder and partner of CRM Essentials. The announcements are expected to appeal to Zoho's core audience of small and mid-sized businesses. Larger companies are also attracted to Zoho's low-cost platform, said Leary, though there is more to be done to cater to the enterprise market. 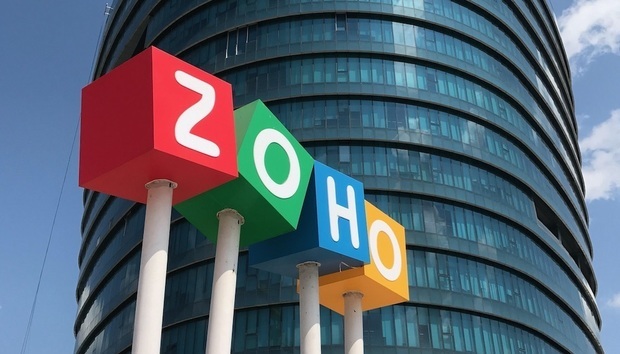 “Zoho will have to continue to beef up their professional services and SI partnerships to keep this trend moving in the right direction if they want to become significant competitors in the mid-market and enterprise players,” he said.